Discover your financial institution's potential legal risks (& how to mitigate them!) and compliance requirements as related to the Fair Credit Reporting Act (FCRA). FCRA litigation claims are on the rise! In 2018, the number of legal actions filed under the Fair Credit Reporting Act increased by 4 percent from the year before. Based on the pro-plaintiff outcome of many high-profile FCRA law$uit$, you can expect to see even more FCRA cases in 2019. 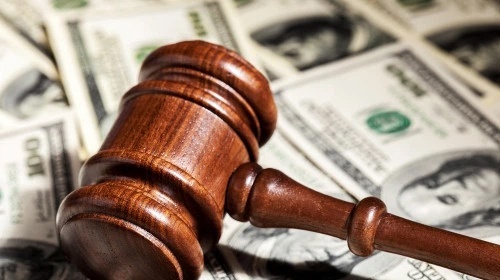 Becaue the FCRA is a highly technical law, plaintiffs' attorneys take advantage of easy-to-make procedural violations by strong-arming businesses into a multimillion-dollar settlements. Last year, the most popular FCRA legal claim was the employee and job applicant class action to challenge the adequacy of FCRA disclosures. As legal compliance in background checks and employment screenings increases in complexity, lawsuits will threaten employers performing background checks in 2019. As FCRA litigation continues to rise, we will look at recent developments and familiar trends in these cases. While the courts continue to hone their interpretation of the FCRA, Congress has also renewed its interest in the Act. In May 2018, they passed the Economic Growth, Regulatory Relief, and Consumer Protection Act, which requires national credit reporting agencies to provide a free "national security freeze" for consumers. Additionally, employers contemplating adverse action against an applicant or employee based on information in a consumer report (i.e., refusal to hire or termination) are required to provide that individual with a notice that includes information on the availability of a security freeze. Not to be outdone by the courts and Congress, the Consumer Financial Protection Bureau (CFPB) and the Federal Trade Commission (FTC) – the agencies responsible for implementing, enforcing, and interpreting the FCRA – were actively involved with issues related to the Act in 2018. In December, the CFPB announced a settlement with State Farm Bank, who allegedly violated the FCRA by obtaining consumer reports without a "permissible purpose." In July, the FTC testified before the Senate Banking, Housing, and Urban Affairs Committee that "vigorous" enforcement of the FCRA remained a top priority. Because examiners and regulators consistently review and revise data reporting requirements, your financial institution is continually at risk for legal actions and regulatory scrutiny. Further, as new technologies emerge and credit reporting evolves, your bank must remain vigilant and up-to-date to ensure that best business practices comply with your FCRA obligations. In this webinar, we will review problematic areas of the FCRA, including "Stand-Alone" disclosure and authorization forms; adverse actions; and, other challenges related to the adequacy of FCRA disclosures. By examining recent litigation related to the FCRA and procedural violations, you will better understand your Institution's potential legal risk and reporting obligations. We will also review the CFPB's new Model Form Revision from September 2018. In addition, this session will suggest action steps your Institution can take to improve compliance. A key component is maintaining reasonable written policies, procedures, and processes to ensure: the maximum possible accuracy of information you furnish to credit reporting agencies (CRAs); you have a "permissible purpose" for requesting a consumer's report from a CRA; and, you allow consumers to dispute and, if necessary, correct information on file. After you attend this webinar, you will understand how to fulfill your FCRA obligations, adhere to CFPB and FTC guidelines, as well as federal law, while remaining in compliance with examiner expectations and mitigating legal risks! Loan Officers & Lending Staff -Especially Consumer Lenders!